Venture out of the city with trips to Port Douglas (Wildlife Habitat Port Douglas & Safaris) and Hartley's Crocodile Adventures (in Palm Cove). Spend the 11th (Wed) among aquatic life with a scuba or snorkeling tour. And it doesn't end there: hike along Esplanade Boardwalk, enjoy some diversion at Esplanade Lagoon Pool, pause for some serene contemplation at St Monica's Cathedral, and take in the exciting artwork at Bones and Jones. For ratings, maps, reviews, and other tourist information, read Cairns trip planner . London, UK to Cairns is an approximately 23.5-hour flight. Due to the time zone difference, you'll lose 10 hours traveling from London to Cairns. Traveling from London in September, things will get somewhat warmer in Cairns: highs are around 33°C and lows about 22°C. Finish your sightseeing early on the 15th (Sun) so you can travel to Brisbane. Start off your visit on the 16th (Mon): take in nature's colorful creations at Roma Street Parkland and then enjoy some diversion at South Bank Parklands. On your second day here, identify plant and animal life at Lone Pine Koala Sanctuary, then take some stellar pictures from Mount Coot-tha Lookout, and then have some family-friendly fun at Psychic Readings Twin Featherz. 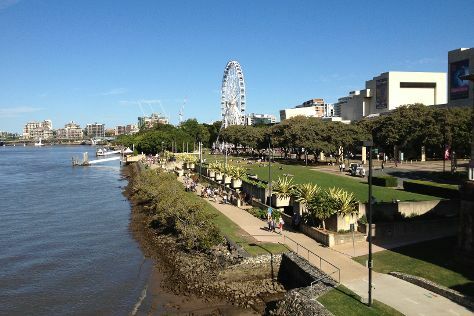 To see other places to visit, where to stay, photos, and more tourist information, read Brisbane itinerary app . Traveling by flight from Cairns to Brisbane takes 5.5 hours. Alternatively, you can do a combination of flight and bus; or drive. Traveling from Cairns in September, things will get a bit cooler in Brisbane: highs are around 28°C and lows about 15°C. Finish your sightseeing early on the 17th (Tue) so you can travel to Sydney. Sydney is known for nightlife, trails, beaches, parks, and museums. 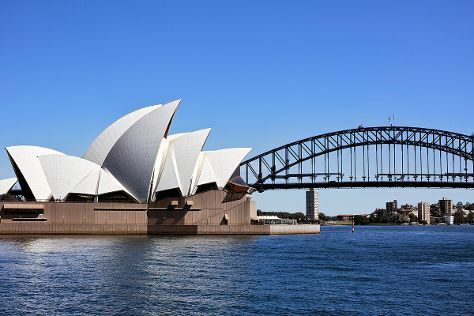 Your plan includes some of its best attractions: admire the landmark architecture of Sydney Opera House, browse the eclectic array of goods at Sydney Fish Market, kick back and relax at Bondi Beach, and examine the collection at Australian National Maritime Museum. To find traveler tips, photos, where to stay, and tourist information, you can read our Sydney trip app . Getting from Brisbane to Sydney by flight takes about 4 hours. Other options: do a combination of bus and flight; or drive. In September in Sydney, expect temperatures between 25°C during the day and 14°C at night. Finish your sightseeing early on the 21st (Sat) so you can travel back home.